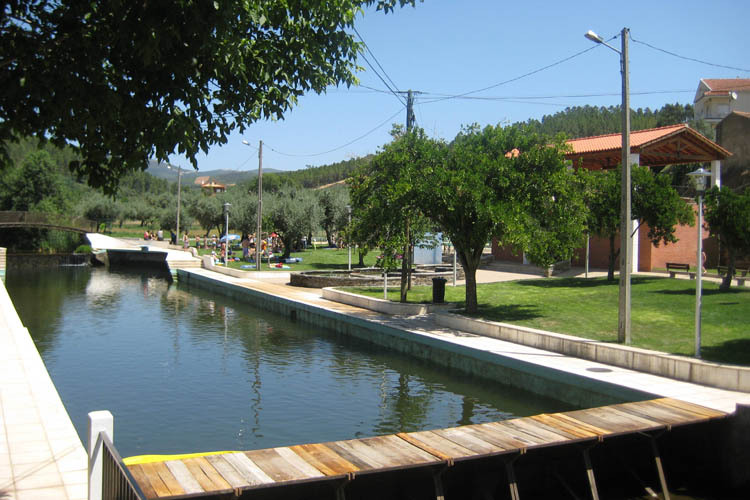 Almaceda Rver Beach is located in the town of Almaceda, in the banks of the homonymous river, a tributary to Tripeiro river, in Castelo Branco, Portugal. This beach is the oldest river beach in the region and features a bar, picnic area, parking, showers, playground, and a sandy area for volleyball. The beach is highly recommended for sports such as swimming, kayaking, hiking, or MTB.